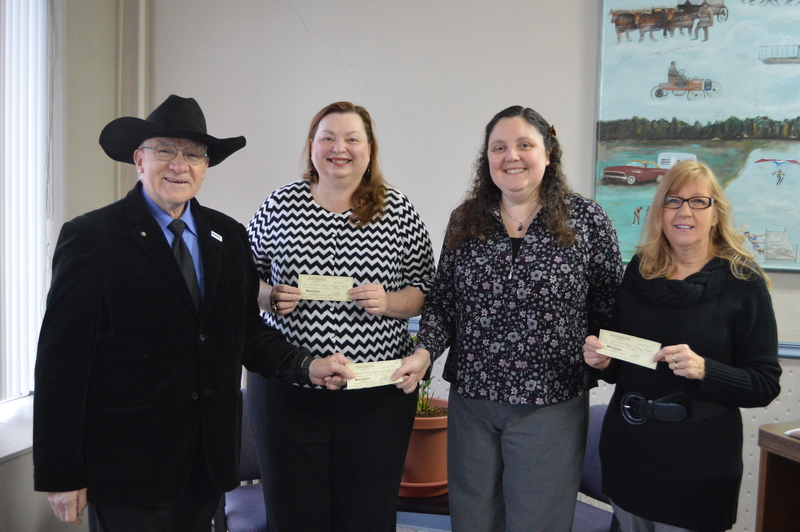 Shown, from left, are Dr. Richard Brungardt, Syracuse-Wawasee Rotary Club president and secretary of Rotary Foundation; Julie Frew, director at Milford Library; Pam Long, youth services librarian at North Webster; and Gisela Vore, children’s librarian at Syracuse. 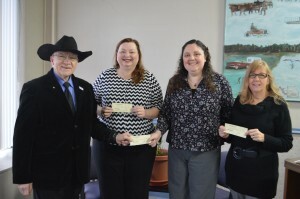 Syracuse-Wawasee Rotary Club, through the Rotary Foundation, donated a total of $600 to Milford, North Webster and Syracuse public libraries. All three libraries are anticipating using the funds toward summer reading programs, their biggest expenses, yet provide the biggest return through youth participation. Each library received $200. The funds were raised through various fundraising efforts by local Rotarians.